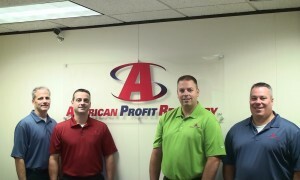 American Profit Recovery was founded in 2004 by four collection industry veterans. With a desire to make a difference and change the fundamental way in which a collection agency operated they created a company that could help businesses of all sizes become more profitable. Our entire team works off of three core values, Work Ethic, Integrity and a Positive Attitude and it comes from the top. And meet Peggy below, one of our collection specialists. She’ll tell you why we’re different.